← Meet Me at the Fair! My sewing buddy, Aunt Rheeta, made bags for each of her college bound granddaughters. 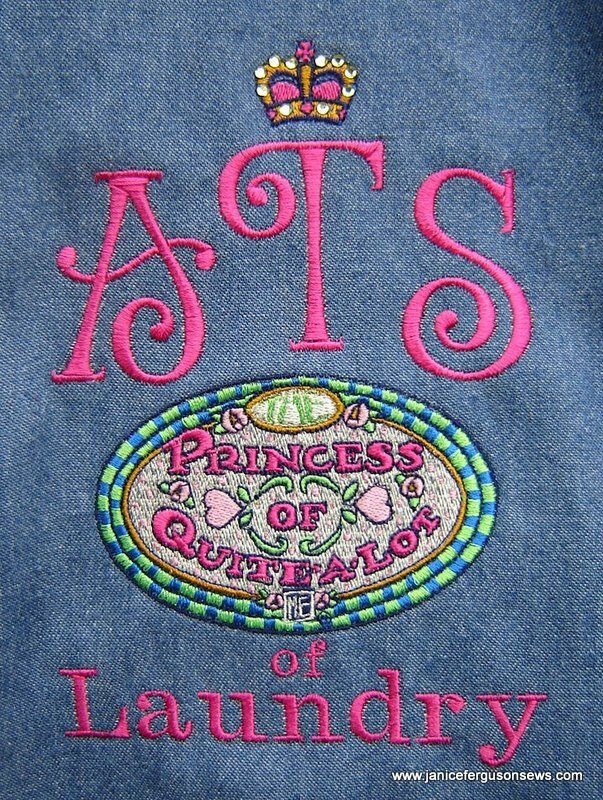 One is denim, the other pink, but the design is the same, except for the monogram. Judy Day made this bag for her daughter. She used a mesh-like fabric and really cute embroideries. One of my favorite bags is this one, made for my daughter. It’s one of many projects inspired by the incredibly creative Sue Lord. When our Rebecca finished graduate school, she became a career girl. She bought a little house, a washer and a dryer. Giving her this bag signaled the end of the “bringing laundry home to Mama” era. She loved it. 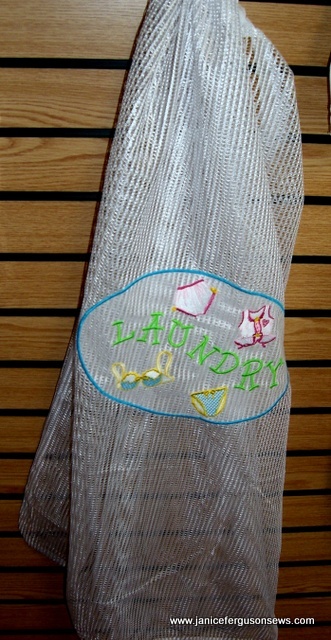 Mothers, grandmothers, and aunties have forever made laundry bags for their loved ones. 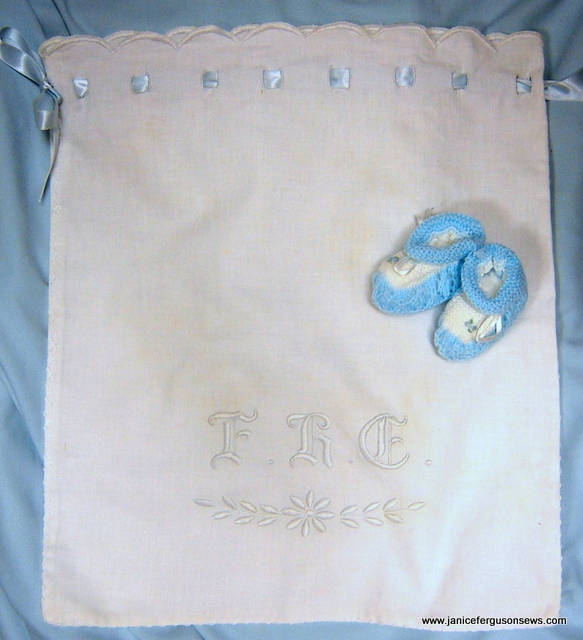 I treasure this antique, hand embroidered baby sack, made for a beloved little boy. You can’t tell from the picture, but the embroidery has faded to the palest blue. Christmas is just around the corner. 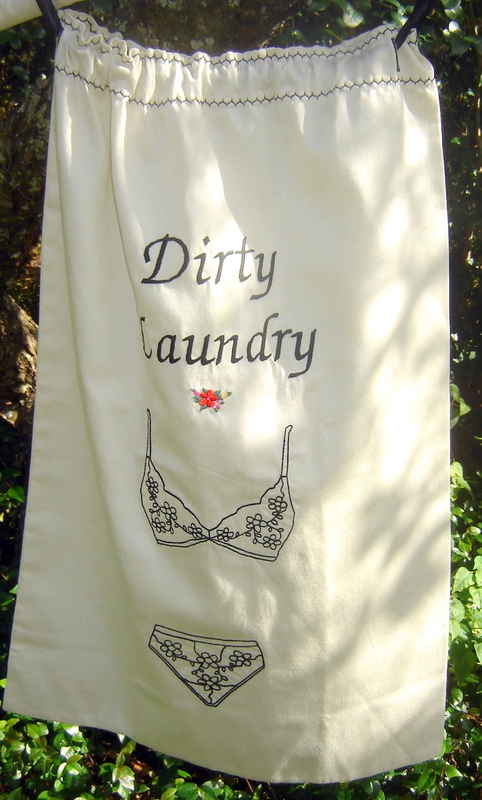 I bet there is someone on your list who could use a laundry bag. It’s a quick and easy gift. 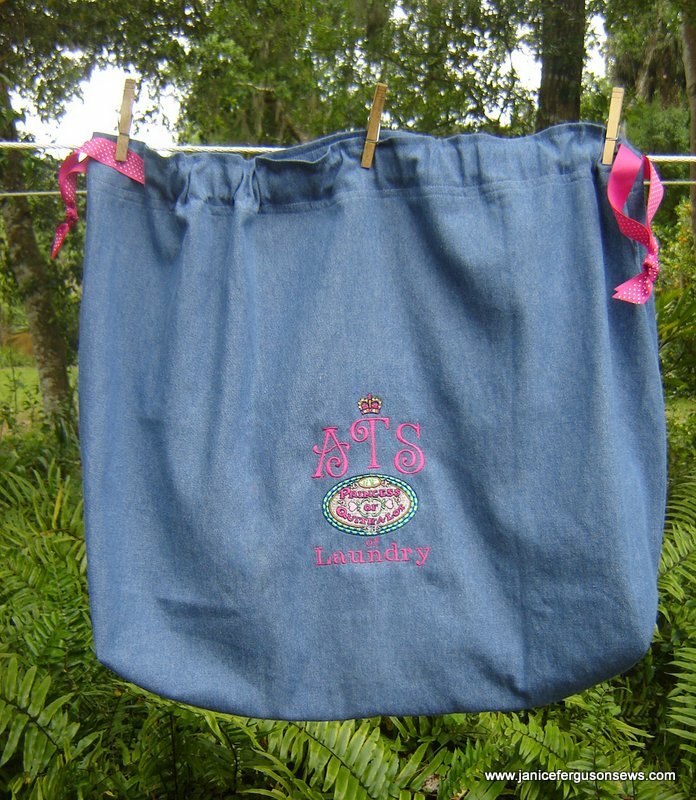 This entry was posted in accessories, antique textiles, bags, Disney, Disney projects and tagged Brother blog, camper gift, college student gift, elderly gift, kid gift, machine embroidery, nursing home giftlaundry bag, Stitching Sewcial. Bookmark the permalink. 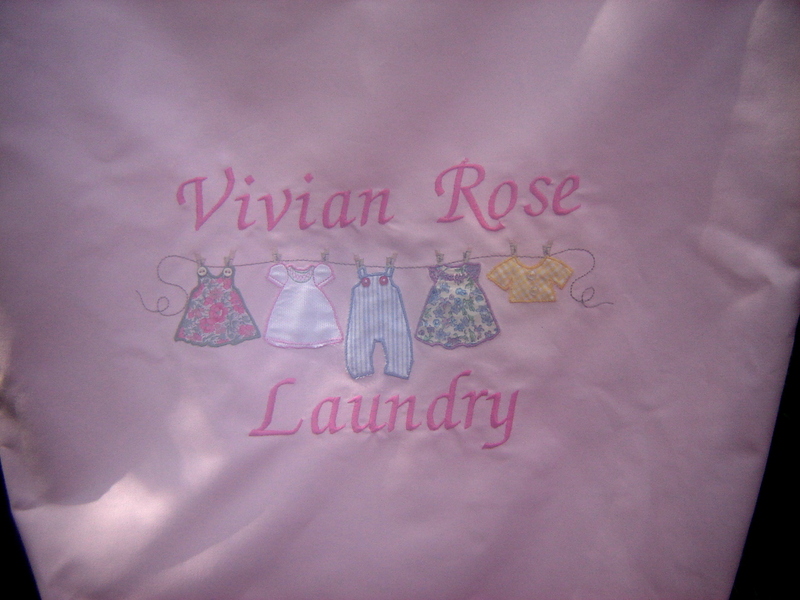 My oldest daughter was given an embroidered laundry bag as a gift this year. I thought it was such a sweet idea, and it touched my heart that it was made for her! Love seeing the things that you’ve been doing, Janice.